What’s Pho Dinner? | Food It Yourself! This week Mr. Food It Yourself got a bee in his bonnet about trying to make pho from scratch in our pressure cooker. Well, you know how much I love bees, so I was all for it. What is pho? 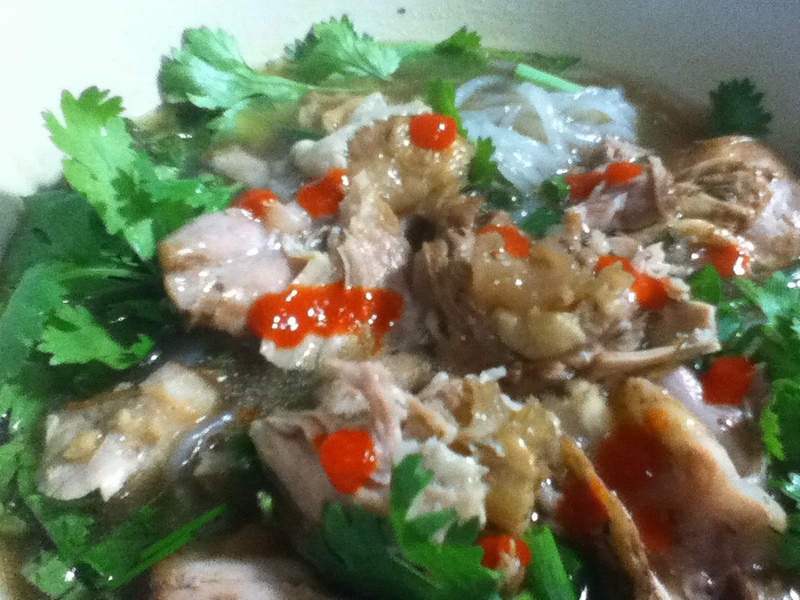 It is a delicious Vietnamese soup made of beef or chicken. According to Matt Robard, writing for Food Republic in 2013, pho is actually the name of the rice noodles the soup is served with. Click that link for some more great info on pho. Mr. Food It Yourself has enjoyed pho numerous times at his favorite Vietnamese restaurant. He was excited to try and replicate it at home. We used this recipe from Serious Eats’ Food Lab page. It seemed simple enough. We did alter the recipe based on what we had on hand- it’s soup! No need to be persnickety. We don’t usually have star anise. Mr. Food It Yourself remembered, however, that we do have Chinese five spice powder, which contains anise. We added a dash of that instead. We also did not have pho noodles, but we did have yam noodles, so we used those. As we have done before, we split the work of cooking. I got the ingredients prepped (which was really easy to do) and Mr. Food It Yourself put it all together when he got home from work. 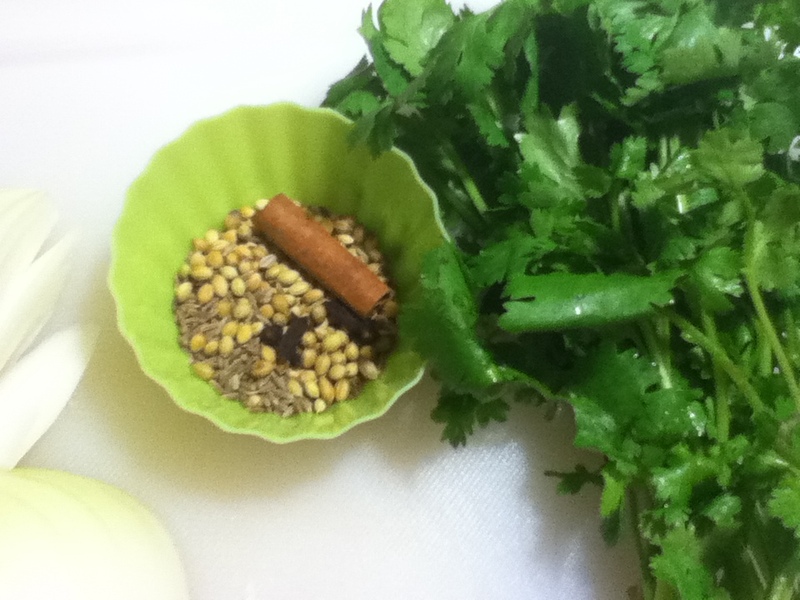 Here are the whole spices and fresh cilantro that went into the pressure cooker. 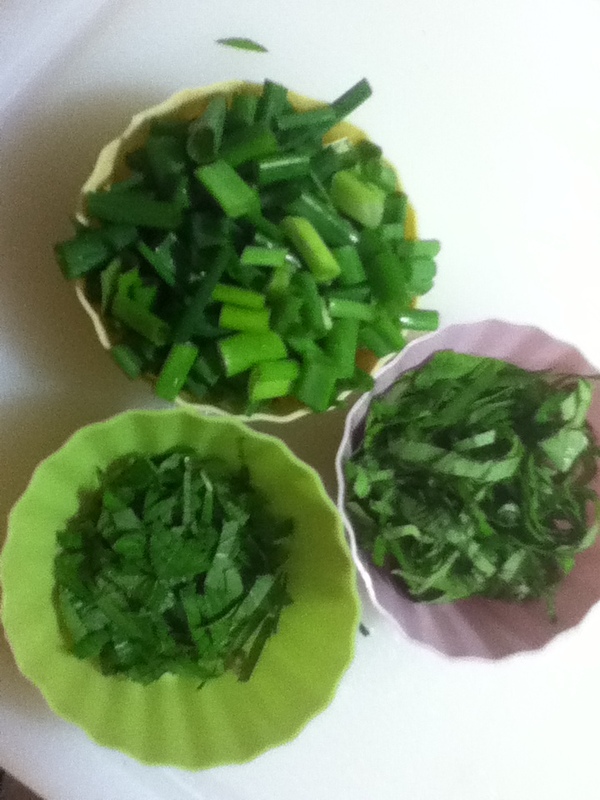 I snipped up chives, basil, and mint from the Food It Yourself garden for a garnish. The fresh herbs really added to the soup. Mr. Food It Yourself had to cut the chicken up with the cleaver. 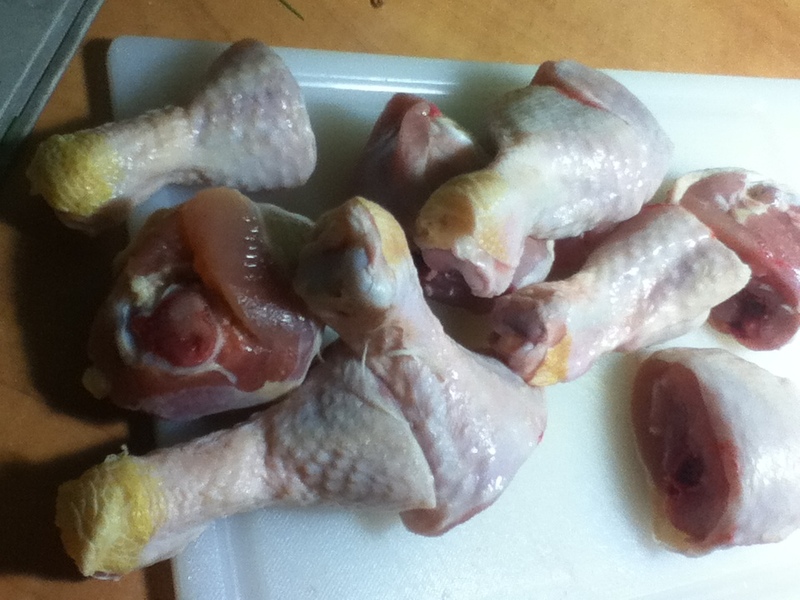 Whole drum sticks would not fit in our pressure cooker. Also, the broken bones let out more gelatine for an amazing texture in the broth. After browning the onion and ginger, we added everything else and got the pressure cooker to the boil. During the next 20 minutes the most amazing smell filled the kitchen. 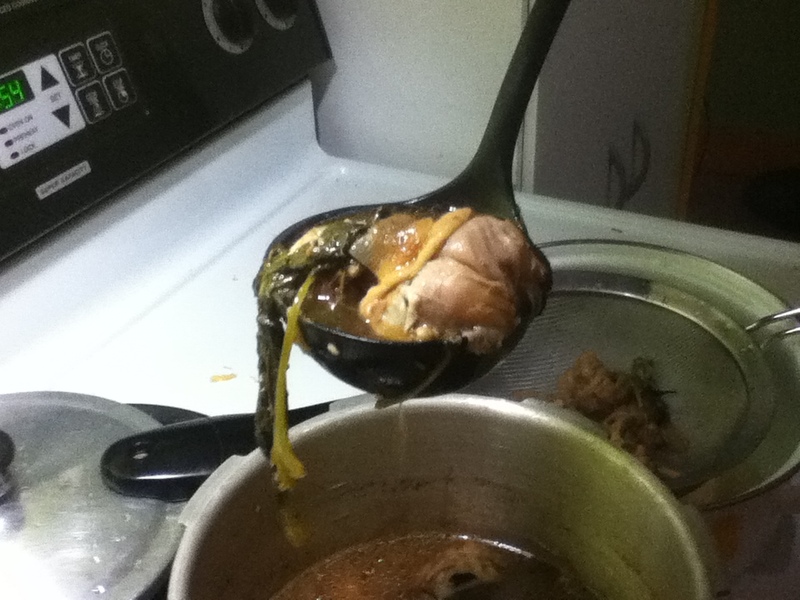 After cooking, we strained the broth and put the chicken aside. The meat was perfectly cooked and fell off the bone. Here it is- noodles, chicken all layered in the bowl, broth poured on top. It’s a different technique than the “simmer it all together” soups I have made before. Yup- it’s delicious. We are going to make this again. I know Mr. Robard (mentioned above) feels that really good pho broth does not need hot sauce or excessive garnishes. However, a few drops of sriracha really took this stuff over the top. The internet is full of amazing recipes from all parts of the inhabited galaxy (that we know of). You can probably find a recipe for any restaurant dish you’d like to replicate at home. Give it a try! Leave a comment with the dish you tried, or want to try. Pingback: I Don’t Feel Good | Food It Yourself!